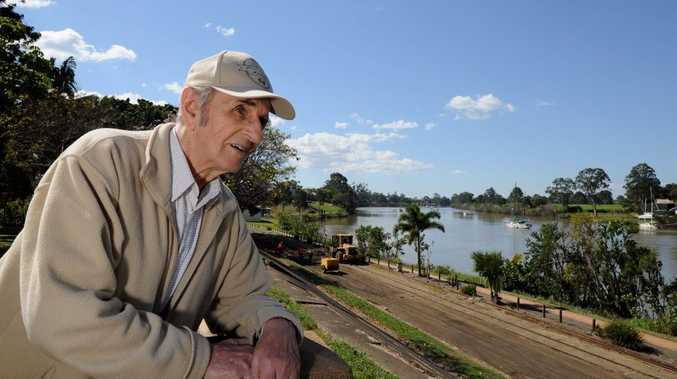 IN SHOCK and awe John Lidbetter, 78, watched the elusive Mary River crocodile follow two men in a tinny. The unassuming pair, oblivious to the huge reptile stalking their wake, were on their way to a bigger boat anchored in the river's centre. 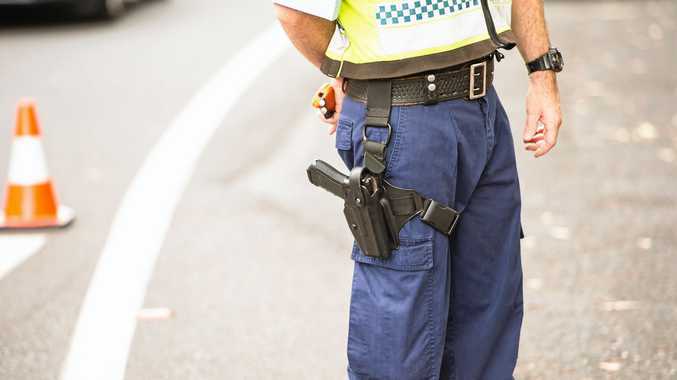 "I was looking up the river while my wife and daughter got an ice cream, and I saw something come from the bank near the Brolga Theatre," Mr Lidbetter said. "It was a dinghy, and the dinghy went with two fellas in dark clothing to a boat flying the skull and crossbones. "And they got aboard their boat and I kept looking and there it was - I thought it was a log to start with - but then it came across river and followed where they had gone towards the rear of their boat." Mr Lidbetter said the crocodile was longer than the 2-3m tinny and travelled fast. "I halfway ran over to my daughter flapping my hands like a crocodile mouth, and she came over and I said, 'it's a crocodile. It's a crocodile'," he said. If confirmed near Queens Park, the Sunday sighting would represent the furthest upstream a crocodile has been spotted in modern times. The Department of Environment and Heritage Protection was contacted to find out if any other sightings of the crocodile has been reported in recent weeks but did not respond. Rangers confirmed a crocodile in the Mary River last year. It was confirmed in July that two crocodiles had made a home for themselves on the Fraser Coast. Crocodile sightings should be reported to the Department of Environment on 1300 130 372. Have you seen the Mary River crocodile? Share Your Story here.